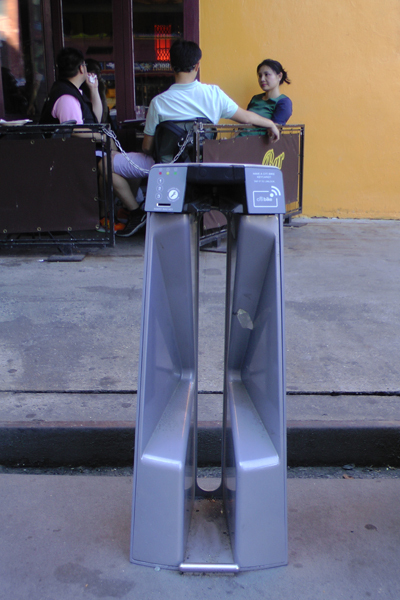 East Villagers were very excited recently to find a new type of stanchion installed in local Citibike stations! The new stanchion is different from the old in two important ways: 1) the key is inserted horizontally, instead of vertically; and 2) when the bike is released, it rolls back slightly, eliminating the necessity of having to release it by lifting the seat up and back! Bike sharing just because easier… in the East Village Today!